Springtime is here, which means that festival season is upon us. 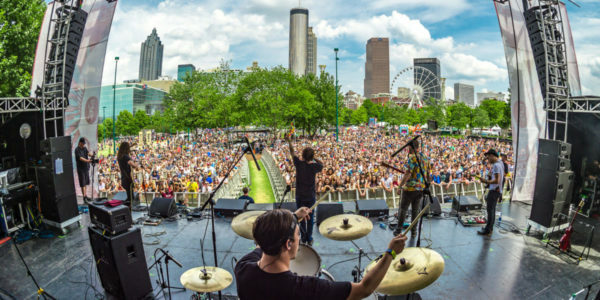 Outdoor and indoor festivals will be opening around Atlanta, such as the Marietta Greek Festival and the Sweet Auburn SpringFest. Here are the art, culture, food, drink, music and neighborhood festivals to look out for during this spring. When: Friday, April 12 from noon-11 p.m.; Saturday, April 13 from 10 a.m.-11 p.m.; Sunday, April 14 from 10 a.m.-6 p.m.
A fine artist market and kids village are just a few of the experiences within this festival that has been happening for more than 80 years. When: April 20- 21, Saturday from 10 a.m. to 5 p.m., Sunday from 11 a.m. to 5 p.m. Various mediums of art will be shown off at the Artsapalooza, which is an event organized for artists by artists and will include about 150 vendors. When: April 21- 28, Saturday from 10 a.m. to 5 p.m., Sunday from 11 a.m. to 5 p.m. In the suburbs of Duluth, listen to live acoustic music while watching artist performances. Around 86 artisans will be showing off their works at this festival. When: May 4- 5, Saturday from 10 a.m. to 5 p.m., Sunday from 11 a.m. to 5 p.m.
About 100 artisans, including painters and photographers, will be opening up shop at this event. Live music and dance performances the entertainment for the weekend. 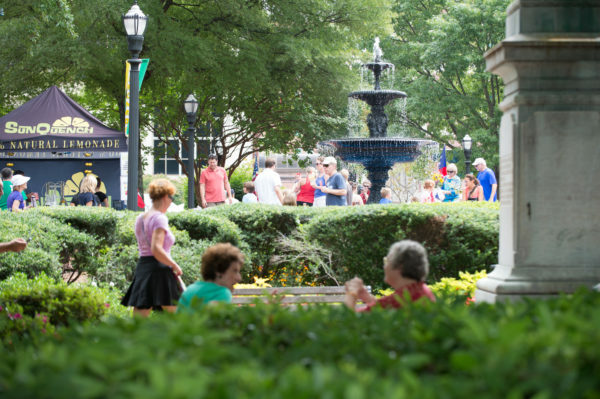 When: May 11- 12, Saturday from 10 a.m. to 5 p.m., Sunday from 11 a.m. to 5 p.m.
Browse crafts and fine arts created by local artisans at this festival. There will also be a spot for kids to play and food trucks onsite. 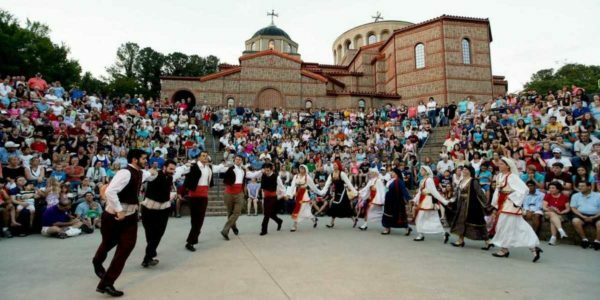 Greek food, such as gyro wraps, chicken-in-a-pita and spanakopita, will be offered at this festival, along with a Greek marketplace. 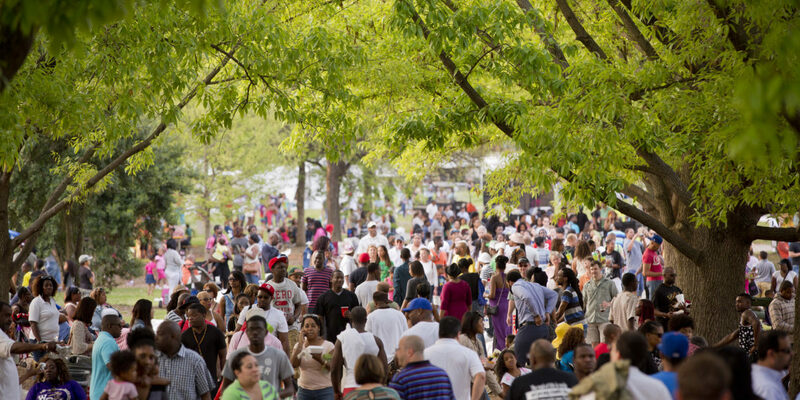 When: May 25- 26, Saturday from 10 a.m. to 11 p.m., Sunday 10 a.m. to 10 p.m.
Carnival-style fun will be coming to Atlanta’s Central Park. On Saturday, Skinny Fabulous, Stonebwoy and Pumpa will be making appearances. On Sunday, it will be reggae versus soca and Tanto Metro & Devonte and Revolution Band will be coming out. When: March 30- 31, Saturday from 10 a.m. to 3 p.m., Sunday from 10 a.m. to 3 p.m. This gluten-free, allergy and special diet festival will let attendees get free samples, coupons and a free usable bag. When: April 6, 12 to 6 p.m. This free festival will include food trucks, including gourmet taco vendor Yumbii and healthy food vendor Gainz Grill. Pokey Bear, Theodis Ealey, Calvin Richardson and Ronnie Bell will be performing at the 2nd Annual Atlanta Blues Festival. When: April 13, 11:30 a.m.
A variety of grilled cheese will be offered to hungry festival goers. General admission includes 3 complimentary samples, along with access to the beer garden and live entertainment. When: April 27, 1 to 5 p.m.
More than 100 beers and over 25 wines will be offered at the festival. When: May 19- 20, Saturday from 11 a.m. to 8 p.m., Sunday from 11 a.m. to 7 p.m. 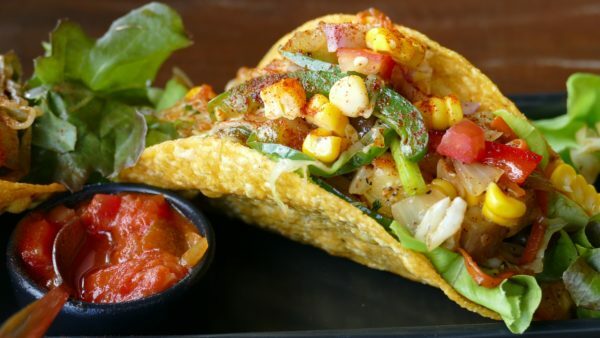 In Fourth Ward Park, munch on tacos from various vendors while sipping on margaritas at this festival. When: May 26, 11 a.m. to 5 p.m.
Live bands will perform at this festival that let that will let attendees enjoy unlimited wine tasting. Blues performers, such as Pokey Bear and Theodis Ealey, will be taking the stage at Fox Theatre. When: April 19- 21, Friday from 1 to 11 p.m., Saturday from 12 to 11 p.m., Sunday from 12 to 10 p.m. 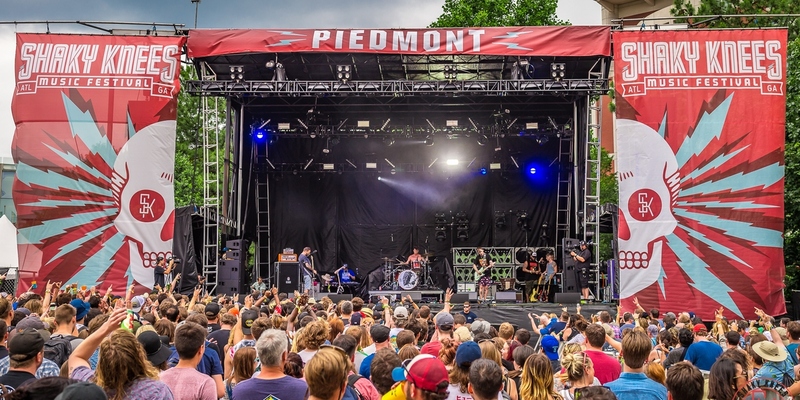 In Centennial Olympic Park, the lineup will include Widespread Panic, The Avett Brother, Rebelution among others. There will also be an artist market and food vendors onsite. Festival-goers will get to listen to headliners Beck, Incubus, Cage the Elephant and Tame Impala. Experience the live sounds of artists, such as Big Gigantic, San Holo and What So Not on Saturday. On Sunday, there Martin Garrix, Galanatis and Fisher at the festival. Listen to live jazz in open air at this festival. Kandace Springs and Richard Bona are a few of the performers. When: March 30- 31, 10 a.m. to 6 p.m.
Cherry Blossom trees will be in bloom at this festival that will include a car show, music and food. When: April 6, 10 a.m. to 5 p.m.
More than 125 local and regional artists will have their works on display while acoustic music is played in the festival grounds. When: April 27- 28, Saturday from 11 a.m. to 8:30 p.m., Sunday from 11 a.m. to 7 p.m.
An arts and crafts market, street market and community corner will be stationed at the event. There will be a parade that starts at 2 p..m on Saturday. In Sweet Auburn, local solo performers and groups will take the stage, while food will be sold.